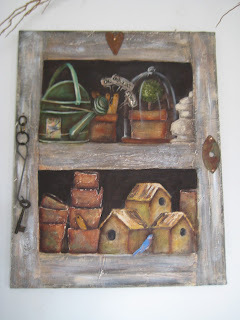 Love your mixed media wall hangings, very spring and green. These paintings are fabulous. Love the colors and the texture...everything!